Last week, I wrote an article talking about the lure of roster modding. As I explained in that feature, while modding in general is something I don’t do as much as I used to, there’s always the temptation to get back into it. I really did enjoy making those current roster updates for so many years, as well as the occasional special project. One such project was my 1996 season patch for NBA Live 2004, which thanks to the contributions of some of our best art modders at the time, turned out to be reasonably comprehensive…at least compared to some of my previous retro season patches. Yes, we’re starting out the week with some very retro file additions! 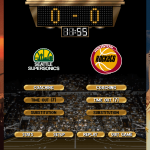 As I recently mentioned in Monday Tip-Off, I’ve been tracking down some lost patches and found a collection of my old roster updates for NBA Live 96, which I’ve added to our archives. Dr B has also added some editing tools for the SEGA Genesis version of the game, which he used to create this roster. If you’re in the mood for some retro gaming, check out both files at the links below! Also, stay tuned for some more additions to the archives, as we upload more long-lost files for gamers who enjoy dusting off old favourites. Don’t forget, if you have any long-lost patches for NBA Live or NBA 2K that you’d like to share with the community, please feel free to make use of our upload facilities! They’re 100% free, and available to anyone who has an active Forum account. 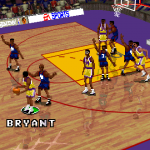 The inclusion of several hidden players in the Super Nintendo version of NBA Live 96 is a trivia note that I’ve mentioned in a few previous columns, including my look back at the game’s Expansion Draft feature. I’ve also mentioned my intention to talk a little more about those hidden players, and this week’s Wayback Wednesday seems as good a time as any. 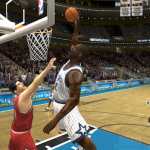 Hidden players have been found in several basketball video games over the years. 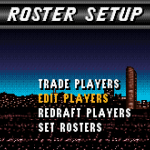 A few rookies were hidden in the default rosters of NBA Live 2004, and were unlockable via a code (or DBF editing on PC). 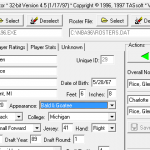 Poking around in NBA Live 08’s database uncovered some unused historical teams. 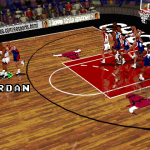 The NBA Jam series famously features several secret players that you can play with, and against. And, if you use RED MC to open up the rosters for recent NBA 2K games, you’ll find a few players that have been deactivated and removed from the active roster. You may not have noticed it, seeing as how we’re talking about content that appears at bottom of our Forum and Downloads section, but I recently tracked down my old pack of roster patches for NBA Live 96, which contains some of the earliest work that I released. It took a bit of detective work, including hitting up archive.org to find out the filename, and then finally locating it in my backups. While I have unfortunately lost some of my early work forever – or so it would seem, anyway – I was quite happy to discover that I still had those particular releases. 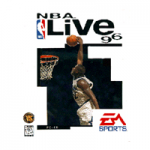 Originally, I was just trying to track down my 1997/1998 roster patch for NBA Live 96, to grab a screenshot for my Friday Five article on lost NBA Live saves. That’s when I discovered I couldn’t find any of my old roster patches. Originally, I used another screenshot in its place, published the article, and then spent the rest of the evening trying to find those old rosters. I was reluctant to accept that they were gone forever, and as it happens, my persistence paid off. As I said, I found an old link that revealed the filename, and from there, a search of my backups yielded the file.